If you find that you can’t keep up with your credit card payments and that you have overstretched your overdraft facility, then it may be that the next step for you is a debt management plan. For those people who find it hard to make the monthly payments to creditors, it can be a really helpful tool. The intermediary who helps you set up a debt management plan will talk to your creditors and arrange a monthly amount to go to each of your creditors that is manageable for you. Payments are worked out according to your income, but your debts are not written off, they still need to be paid. A debt management company like Debt Free Direct can talk you through the different options, but a debt management plan is usually suitable for both tenants and homeowners. If your circumstances change, it can be possible to amend payments to suit any changes in income, etc. One big advantage is that you don’t go on an official register for a debt management plan like you would with bankruptcy. However, you should be aware that your credit rating can be negatively affected by signing up to a debt management plan. It also may not be the best solution if you have a very serious amount of debt. For people with really serious debts hanging over them, then an Individual Voluntary Arrangement (IVA) or bankruptcy may be more appropriate. The best way to find out what is the right solution for you is to get independent financial advice. It’s worth remembering that a debt management plan isn’t a legal agreement, so your creditors may agree to stop interest, but then change their terms further down the line. Most creditors will see the advantage of working with a debt management company to recover the debts that you owe them, as it is more likely that they will get their money back this way, but other creditors may refuse to deal with a debt management company. In recent years, there has been a huge increase in the number of debt management UK companies, so you should really do your homework to make sure you are engaging a reputable company which will work in your best interests. Debt management plans can be a great solution if your debt is unmanageable but not too extreme, but do try to get some independent financial advice before going ahead to make sure it’s the best solution for your own circumstances. 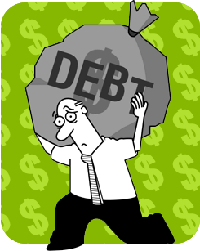 A debt management plan is a suitable option for many people struggling with debt. There are a lot of success stories out there. Debt resolution options shouldn’t be rushed into, debtors should carefully consider all their options before opting for one choice.